Critics of donor-funded democracy promotion projects complain that they are naive attempts to replicate the practices of developed countries. David Guinn and Jeffrey Straussman say that the reality is more complicated. 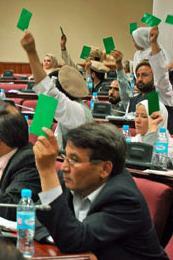 They describe a more nuanced approach to democracy promotion, which they call “politically engaged best practice,” and show how it can be applied to the task of legislative strengthening in developing countries. Politically engaged programming still recognizes that there are best practices, but allows room for development agencies and implementers to consider how practices should be adjusted to fit “social and cultural systems.” Read the article. 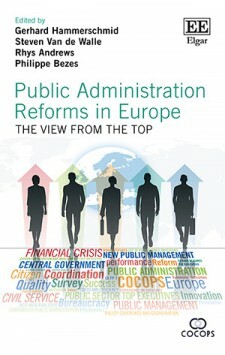 Several SOG members contribute to a new book, Public Administration Reforms in Europe: The View From the Top, just published by Edward Elgar. Based on a survey of more than 6700 top civil servants in 17 European countries, this book explores the impacts of New Public Management (NPM)-style reforms in Europe. More about the book. Steven Van de Walle discusses the book in a short comment here. If you are a SOG member and have a new book, let us know. Join SOG here. The SOG newsletter reaches over five thousand academics and professionals around the world. 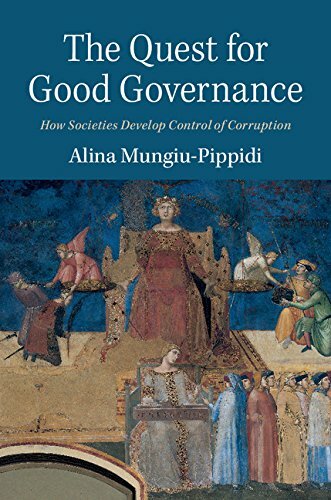 In the current issue of Governance, Carolyn Warner reviews The Quest for Good Governance by Alina Mungiu-Pippidi. “It has yet to occur to the international community that corrupt actors rarely, if ever, reform themselves out of business,” Warner says. “Mungiu-Pippidi’s work is a significant contribution to our understanding of the subject, and one to which policymakers and international donors should pay attention.” Read the review. And Gaia von Hatzfeldt reviews Democracy and Transparency in the Indian State by Sharma Prashant. India’s 2005 Right to Information Act “is lauded for being both a producer and a product of an empowered and active citizenry,” von Hatzfeldt says. “Sharma Prashant provocatively and astutely questions this assumed correlation between the RTI and democratic processes.” Read the review. Principal-agent theory has established a firm foothold in political science. 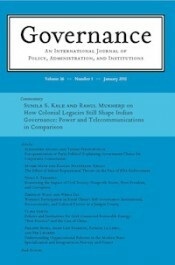 But there is a limitation with the way the theory is applied, Mor Sobol argues in the current issue of Governance. Scholars typically assume that problems arise because the agent is an opportunistic and disloyal actor. But principals can be just as problematic as their agents, Sobol says. The result may be “pathological delegation”: a pattern of behavior by the principal that makes it harder for the agent to do their job properly. Sobol uses the case of the European Neighborhood Policy to examine the undesirable effects of pathological delegation. In the current issue of Governance, Sharon Gilad, Saar Alon-Barkat, and Alexandr Braverman say that “public administration scholarship has devoted limited attention to the responses of public organizations” to social protests. They examine how Israeli public agencies and businesses responded to social protests in 2011. They find that public organizations were “more likely to perceive social upheaval as an opportunity for reputation enhancement and for expansion of resources and jurisdiction,” and increased their spending on public communications in response to the protests. Businesses, by contrast, “perceive social activism as costly” and were “inclined to keep a low profile to avoid being targeted.” Read the article.